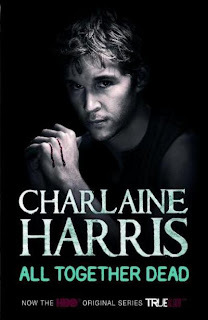 Other: Seventh book in the Sookie Stackhouse series. There are currently 10 books in the series, with two more being published in the future. The eleventh installment, Dead Reckoning, will be published May 3rd, 2011. In All Together Dead, Sookie is trying to put past failed relationships behind her and has a new man in her life: the handsome and mysterious shapeshifter Quinn. But in the wake of the devastation from Hurricane Katrina, and with the entire Louisiana supernatural community still reeling, Sookie is summoned by Sophie-Anne Leclerq (the Queen of Louisiana) to accompany her to a historic regional vampire summit. However, the conference -- where entire power bases could be gained or lost -- is filled with friction and ill will; and when delegates are found brutally murdered, Sookie finds herself in the middle of a conspiracy-ridden power play where the unlikeliest of suspects could be a cold-blooded killer. In this Sookie Stackhouse book, Sookie is dating Quinn, who she met a little while before. Meanwhile, she is summoned to the vampire summit - where Queen of Louisiana Sopie-Anne will stand on trial for killing her husband. Sookie will be going along with the Queen and her entourage. 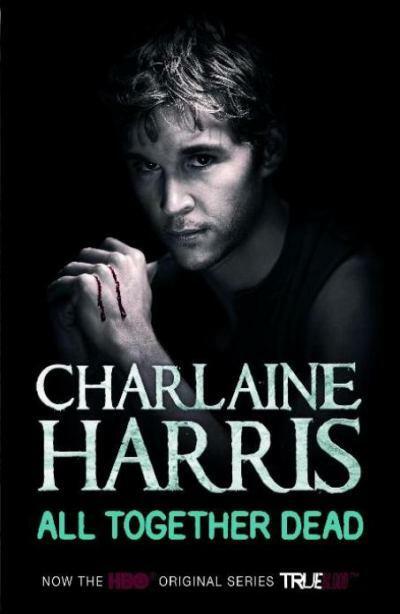 Of course, no book in this series would be complete without some more trouble: the Queen's right hand forces a blood bond to be established without Sookie's consent, The Fellowship of the Sun is involved in a plot to kill the vampires and Sookie's brother Jason takes drastic steps into the community of Hotshot. This was one of the books in the series that was most put together in my opinion. Everything evolves around the vampire summit, and yes, there are some things coming back from being mentioned in Definitely Dead, but overall I'd say this is one of the better books in the series. There aren't too many small characters involved that have important roles - and the ones that have, are clearly recognizable between the rest of the characters. In my opinion, there are always too many characters in the story. But this one was easy to read. We saw a little of Eric's personality through - the character and personality that I've loved since the beginning of the series. It was good to see him back! I'm wondering where we will see Barry again. I have some kind of feeling that Barry and Sookie will be confronted with eachother, someday.. Although I have no idea when and why. I *do* have the idea that we will see more Eric, because of the bond or because he wants to. We'll have to wait and see! Hi! New follower here just hopping by to say hello!